Football season is almost here, cord-cutters! If you want to see more games than your TV antenna delivers, Solid Signal has the solution! When it comes to pro football, cord-cutters are pretty lucky. Many of your team’s home games are shown over your local TV stations. You can watch them if you live close enough to the TV transmitters, but this still rules out away games. But if your favorite team is out of state – or you live in a state without a pro football team – you could miss all of the action. What’s the solution for watching all the football you want? 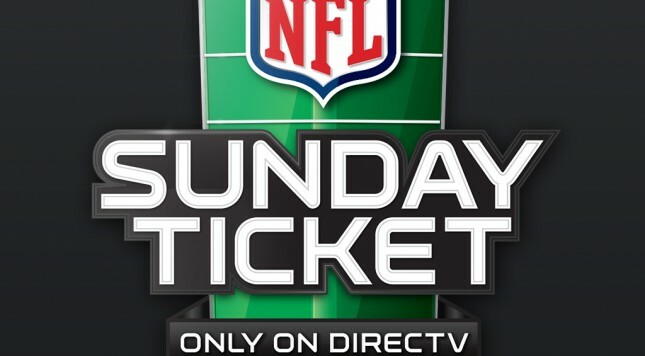 A DIRECTV NFL SUNDAY TICKET MAX viewing package from Solid Signal. What is NFL SUNDAY TICKET MAX? DIRECTV can be used alongside your TV antenna, which lets you to keep free local programming. Under certain circumstances, you can get NFL SUNDAY TICKET MAX as a standalone streaming service. This tends to be popular with those who live in an apartment building, dorm, hostel, or other building that doesn’t allow DIRECT access. It’s also available for people whose homes offer no direct view of the sky. You can stream NFL SUNDAY TICKET MAX for free with a DIRECTV satellite subscription. This allows you to stream NFL content on most Apple and Android mobile devices. You also can use your PS4 or Xbox One to stream NFL or MLB content to your TV. Yes… We did. DIRECTV wants you to experience NFL SUNDAY TICKET MAX so much that the company is willing to give it away for free. Qualified customers can receive this NFL football viewing package at no cost for their first year as satellite TV subscribers. When it comes to deals, it doesn’t get much better than this! When it comes to DIRECTV, we’ll make your experience an easy one. We’ll get you the equipment you want, the price that works for your budget, the programming you desire, and the support you deserve. If you want to get the process started, or maybe have a few questions you need answered, feel free to call us at 866-726-4182.